If you make a mistake, you could ruin your chances of living the life you want. One single mistake and you’re done. It’s essential that you get everything perfect before you start. Somewhere along the way, we took a wrong turn. We learned to believe that mistakes are to be avoided like the plague. We learned that perfection was essential, because only then would we be guaranteed success. There is no perfection. There is only incremental improvement. If there’s anything you should be afraid of, it’s not making any mistakes at all, because it’s a sure-fire path to failure. Anticipating mistakes and knowing what might go wrong is all fine and good. But when you end up in Anxiety Land, it becomes a problem. As human beings, we’re experts at tuning into potential threats. However, when you’re building a business around your passion, you’re exploring new territory, which means you have no idea what to expect. And that means that your internal radar will come up with threats that do not even exist. Even worse, once you’ve come up with an imaginary threat, you tend to imagine what consequences it leads to if it were to happen. It all seems real, yet it has no bearing in reality. Making mistakes seems scary because we believe the horror stories that our mind tells. If you’re not making mistakes, you’re not experimenting enough. Building a business is a fascinating journey. It helps you create something that supports your lifestyle and helps you grow as a person. Every day, there are new fears to face, new technologies to learn, and new boundaries to dance beyond. You’re not on this planet to succumb to your fears. You’re not made to hide in the closet when imaginary monsters lurk under the bed. You’re here to face your fears and boldly go where you have not gone before. But you have to make an internal shift first. You have to stop taking your excuses seriously, stop believing every story your mind tells. When this clicks, you realize that you can only do your best with what you have, where you are. So, take action, and learn from your mistakes. You can only do what you can do. Life is way too important to take seriously. You’ll keep taking action until you succeed. Your fear of making mistakes may never go away completely. Fear is ingrained in us as human beings. It’s a sign that you actually care about the work you’re doing (or want to do). Taking action means embracing imperfection. You’ll make plenty of mistakes. If you want to do what you love, stop giving away your power to your fears. They are nothing without your consent. It’s time to set sail for a new destination. It’s time to make the shift from prisoner of your fears to relentlessly pursuing your dreams. When you truly become sick of being controlled by your fears, you become relentless. It happened to me, and it can happen to you. It’s like in the movie, the Matrix. When Neo realizes he is The One. He suddenly sees the Matrix for what it is. He embraces his true power. And that is exactly what happens when you reach relentless determination. No obstacle can stand in your way. You’re too determined to let anything hold you back. You keep moving forward, no matter what. If you don’t know where to start, you’ll learn. If you’re afraid of putting yourself out there, you’ll do it anyway. If you come up with excuses, so what? There is just pure determination, pure focus on what matters: Following what makes your heart sing. Do you want to do what you love more than stay where you are? P.S. 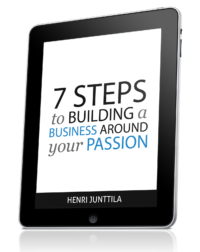 Don’t know what your passion is yet? 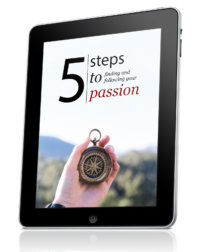 Then I invite you to check out my popular book Find Your Passion: 25 Questions You Must Ask Yourself. In order to grow & accomplish things in life; we have to be willing to make mistakes even when we are afraid. We’ll never how far we can go the distance, if were afraid to take the hits in life. You have been willing to take hits & keep moving forward like a boss. I find it incredibly easy to forget that making mistakes; along the way will teach you so much in achieving what your striving for, than if we never take the leap of courage. Agreed. Making mistakes isn’t fun, and I’d rather avoid them, but it seems pretty impossible if you want to get stuff done. Is exactly what made the cut for me. One day I just woke up and I was so tired of myself that I just couldn’t believe it. 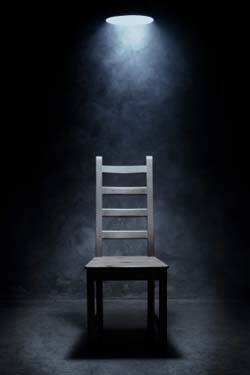 Even I, was tired of thinking I can’t, I’m scared, what if it doesn’t works, what if people laugh at me, I had dozens and dozens of virtual walls. Then I just said “screw this, I’m gonna do it”. And that’s when I started putting myself out there. Started recording myself on video, recording audios, publishing everything on the blog. It was so wild that people were excited, even more excited than me. Then after a while I kind of started liking it and started getting better. My videos certainly weren’t the best, heck, they are not even good right now but I’m not scared of doing them anymore. I embrace mistakes, my own fears, my challenges, then after a while, it becomes part of ourselves. It’s crazy but that’s how it has been for me. Thanks for the nice summary man. It’s really cool that you described a lot of what has been happening to me in high detail. Can’t wait to see what’s next, take care. I love the movie references. 😀 I’m an original series Star Trek fan. And I often feel like Leo having a day life identity and a night life identity since I’ve told nobody at work what I’m up to while trying hard to build something that will allow me to escape. I take action by practicing mindfulness when I feel fear. Mindfulness brings my focus back to the present moment instead of listening to the stories my mind is creating about the future. Sometimes, by coming back to the present, an actionable doable step presents itself. And each time I finish a doable step, I create more confidence and find additional steps are easier to take. And the nice thing about this method is you can “rinse and repeat” however many times fear reappears and threatens to make you stuck. “Screw this, I’m gonna do it.” Yeah. Me too. I completely agree on the mindfulness part. I do that a lot whenever I’m overwhelmed, frustrated or just plain stuck. Stay with the feeling, let it be, breathe, and relax. It makes all the difference. There’s nothing worse than trying to figure things out when you’re in a negative state of mind. Mistakes makes us grow as a better person if properly corrected. Thank you so much for this post. I recently started my own business and I particularly found online marketing a challenge because of my fear of making mistakes. I am going to keep on putting myself out there as you suggest because I know the more I do it, the more comfortable I will become. That’s an attitude that will help you soar. And the good thing is that the more you do it, the more the same attitude will ripple out to the rest of your life. I agree with you about how fear becomes an impediment for doing something we want. But what about an activity where your mistakes can harm others? I am training to be a yoga teacher but I am afraid people with some health issues hurt themeselves if I make mistakes. I feel big responsability and even though you get training and study, when you start to teach you don’t know everything. Thank you for your answer. In the end, that is up to you, and how your temperament. You also have to distinguish between fear that has grounds in reality, and fear that is just worrying about the worst case scenario. We are all responsible for ourselves. So as long as you inform people to be careful, and let them know about the risks, I don’t see a problem. You can be humble about what you know, and what you don’t know. I don’t pretend to know everything. I simply share what has worked for me. Thanks for an awesome post…it hit me where I live! More about that later. In early life my father was not only a perfectionist, but he was a taskmaster that demanded nothing less than perfection from me. This flew in the face of his inequities and flaws, but since I was so little I had no voice to protest. I’m a tolerable mixture of perfectionism and fallibility, but often the perfectionism soundly outweighs my understanding that I’m not God. I often wrest with this discrepancy, but in the intervening years I’ve had angels in my path. I took that to heart and relished my mistakes because he took the time to help me understand how to profit from them. I seized that concept to continue to try, try, and try again. That being said I still have problems overcoming my perfectionistic tendencies that plagued my early years, while attempting to reconcile my human tendency to be just that – human. I love your assertion that “The secret is that there is no secret,” is a truth that hit me right between the eyes. I’ve been searching for “the secret” that will propel me to the level that I want to achieve in business, but I’ve been terrified that I’ll never find it and become a dismal failure. Now I know that failure can only manifest if I quit. As long as I continue to work toward my goals, I can’t fail and I will achieve the success that I envision. Yet that vision continually changes, so my efforts will continue to morph with the effort that I proffer. Thanks for an incredible post. I continue to identify with your brand of thinking, your deep spiritual insights, and your helpful ideas regarding business and life in general. You were lucky to bump into some of your teachers. Wise words, indeed. Most people are afraid of failure, so they never start, which means they instantly fail. To me, things have become a lot more fun as I’ve stopped taking myself so seriously. We can play with life and business, and see where it takes us. Failure is a story we tell ourselves. Thanks for the post, Henri. I’ve really appreciated content like this that you’ve posted. You’ve helped me break through a bunch of fears I had about starting my website, and now I’ve done a lot more work on it and feel really good! I’ve had to work through fear of making mistakes, of my content not being good enough, of my site not looking good enough, and of putting myself out there. I’ve had to figure out that there’s no way I’m going to get where I want to go if I stop because I’m afraid of all those things. There’s a much better chance of being able to support myself and travel the world if I keep going. When I first started blogging, I did not want to make any mistake. This almost made me give up on blogging instantly. However, I decided that making a mistake isn’t bad as long as I am open and ready to learn and so I have been blogging since then and the experience is quite interesting. Thanks for sharing this post. Take Care. Hi Henri, and how are you today? Since I stumbled on your site, and I love it. I find myself bookmarking each of your articles; they’re refreshing, encouraging, inspiring, and make me think. It’s also amazing how I find myself sincerely connecting with all that you share. And I don’t believe we are never too old to learn new things, or too old to learn things new when we’re much older than the author. I have always believed everything I would do had to be done just right. Not solely based on my being a perfectionist, but more around my belief system. This do include my opinions of how I seen or would view the world and its people. I don’t see myself being above anyone based on my “belief system” either, but I am still human and fallible. See Henri, I have faced many failures with faults, and will continue to fail as long as there is life in my body. Failure can soon lead to success in life, though “success” is a state of mind. But my thinking is, however. If you fall down, you get up and dust yourself off. And keep pushing forward. Despite the faults or failures. However, just for today. I am learning to live in the moment. Although, my past behavior has demonstrated the perfectionist persona. I’m always open to learning new ways of attaining a financial goal. I am also convinced that I fall victim to situations that may not exist — I stated “may not” exist. On the other hand, it doesn’t mean that it doesn’t exist either. Living life [my opinion] is a mental, spiritual, and physical journey — we’re merely Pilgrims passing through. It’s also a tough really living life when you know something you experienced is right. Although, it may not appear the same with someone else. I am encouraged by your wisdom, and will continue to follow. Take care, and be blessed. Glad you like the content. Couldn’t agree with you more; we’re passengers on this ride we call life. Sit back, relax, and see where it takes you. The worst mistake and risk anyone can make is not taking risks at all. If you try and fail, you’ll learn from it and then try again. There is certainly nothing wrong with making mistakes provided you learn from it. Hi, read your article and decided to share my problems with you. I am working as a admin staff, as you know admin deals with information and paperwork, hence it will be undesirable to make mistakes. My workload wasn’t at all high, but I have a boss who is very catious . I know I will cause trouble to her if I make any mistake, so I really tried my best to check before I submit work to her. But for some reason, the more careful I wanted to be, the more chances for me to miss out something after she had done checking, which gives her the impression that I am not taking work seriously. Trust me, I really checked, and I checked again and again, yet I still failed to realise some other mistakes. I don’t know is it because of my psychological problem, which is fear of mistakes that causes me to make more mistakes. But if I explain this fear to my boss, she probably think that these are excuses, hence I couldn’t explain. I am deeply sorry for the agony that I had caused to her, but what can I do? I tried, I failed and I don’t know how I am going to plan for my future, it seems bleaker every single day. I know I need to change, I tried, and failed again. My relationship with my boss is badly strained as we have communication problems, and I am close to tender resignation. I couldn’t continue to cause her agony anymore. I have no idea what to do next. But if I quit, I have no idea how to live my life anymore. Meanwhile I am taking part time studies as well, but kept failing that I am doubting my ability in everything, including things I used to be good in. I love my studies but I find myself not able to cope anymore. Basically I have lost interest in things that I used to be interested in. I lacked self confidence and I find it difficult to strengthen confidence, though I have tried, and failed. Trust me, I really tried. Just to share with you my problems. Felt a little better after reading your article and sharing my experience. I guess I need to try extra harder to identify my problems and solve them before I totally overpowered by them. If you have any advices I will be glad to hear. Thank you for the patience in reading my long story. I just got hired and I am training right now but I am one of those people who are scared to make mistakes, and because of this I am not getting any better! I grew up being able to laugh at every mistake I made, I wonder if this one reason why I tried to be perfectionist and so afraid to make mistake. But reading your article truly inspire me. Might be a little late to the party but thanks, Henri. The message is spot on. Sometimes (all the time) the best course of action is to, as Nike said, Just Do It. Don’t let the what ifs and potential problems stop you from anything. Well put, Joel. One step at a time does it!